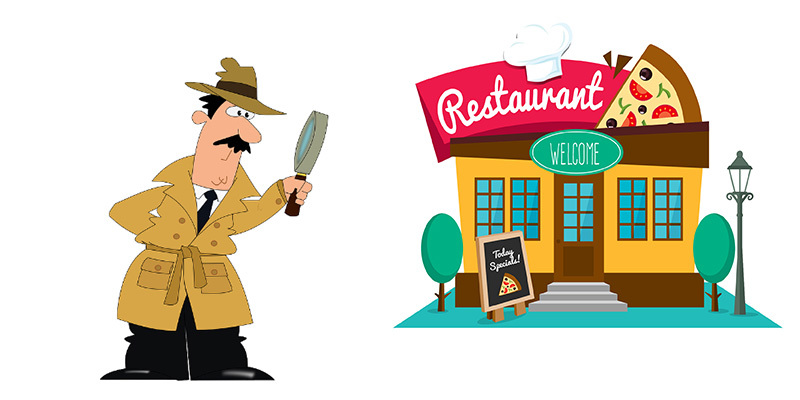 In this article I will show you how to do a competitor analysis of your restaurant. This will help you to pinpoint the main differences between you and your competition. By the end of this article, you will be able to do a competitors analysis and give answers to the questions that as a restaurant entrepreneur, you should be constantly asking yourself. Given my competition and what they’re doing, will my business model be able to take flight or is it doomed to failure? Do you risk it all while gaining very little? Most restaurant owners don’t take the time to prepare a business plan, or worse yet, a detailed competitor analysis before opening a new business. They are of the attitude of “wait and see,” which usually always leads to failure and poverty. A fundamental part of any business plan is finding something that will establish how you can differentiate your restaurant from all the others. As part of your analysis, you need to divide your competitors into groups. This will let you distinguish between those who are direct competition and those who will rarely take away your customers. You also need to consider your future competitors and decide who doesn’t pose a threat presently but could do so if circumstances change. The competition is not only a goal, someone who you are going to win against, but should be seen as a source of inspiration and a reference point which will enable you to establish credible objectives for your restaurant. It is also an asset which allows you to understand where your competitive advantage may be. Analysis of competition can help you keep your finger on the pulse of what is happening in the industry, thus, preventing you taking any unnecessary risks. For example, at the change of each season, in my city, entrepreneurs open and close many bars. If I had considered opening a bar, an analysis of competition would have quickly led me to consider that rents are excessively high and these businesses are affected by the seasons, leading to nobody making enough money to survive. You cannot establish a battle plan without knowing the enemy. Below I’ll tell you how to identify your competitors and create a winning battle plan. Let’s take a look and understand what exactly is a competitor. In business, the definition of a competitor is a company in the same industry as you which offers a similar service or product, competing with others for a successful piece of the market. Basically, you have 3 kinds of competitors that you should take into account. Direct Competitors: Provide exactly the same products or service that you are providing. Occasional Competitors: Provide services or products which differ slightly to yours or they are situated in a different location. External Competitors: Not usually in competition with you but if circumstances change, they may become your competitor. Most of your energy should be focused on analyzing competitors who offer the same kind of products and service as you do. One of the purposes of identifying the competition is that there is an opportunity to develop a competitive strategy against each of them. Do not just write down the name of your competitor and leave it at that. You need to make a full assessment of each of them ( this won’t become part of the final business plan, but will make up an important part of your marketing plan). Getting information by visiting the website or social networks of your competition is easily done via the internet. You can also find other invaluable information by reading their menu, chatting with suppliers and distributors and talking with customers. You could also try to find out further information by passing yourself off as a customer (or getting a family member or friend to do it). This illegal activity may seem a bit wild and over the top, but you will find the results extremely interesting. The following are some questions that you can use as a starting point in your research on competitors. What’s the target of your competitor? What about prices? Do they offer any special discounts? Does it have a lower price than mine? Does it offer a wider menu variety at lower prices? What does their image convey? Is it know in the area? Does it have longer operating hours? Does it have more experience and more knowledge? Do they specialize in something or target a particular niche? Does they offer service or products that I don’t offer? Is everything going well for them? How long have they been in this market? How many employees? Do they have a website? Are they active on social media networks? Does it have a good online marketing strategy? Does it have more money and the ability to expand? Bear in mind that you don’t need to be perfect, offer the lowest prices or provide an extremely efficient service. The most important thing is just to be slightly better than the competition. For example, imagine that you want to start a small restaurant business in your city and you want to offer the cheapest prices for lunch. Once you have done the competitor analysis, it turns out that your main competitor off a complete lunch to workers for $20. To be competitive, you will not need to sell the same lunch package for $10. You can give it away for $18.90, becoming interesting for those who are searching for a lower lunch price. So why is it important to know your competitors? Simply put, you get two results. To win the battle you must attack the free spaces left by the opponents. Metaphors aside, understanding the strengths and weaknesses of your competition encourages you to set an appropriate marketing strategy to enhance your points of differentiation from your competitors. You will also be able to appear in front of potential investors with a solid knowledge of the market. Moreover, by analyzing the competition, you will be able to highlight the strengths and weaknesses of the restaurant. You can then see what you do best and worst as well as what you should be focusing on and what needs to be changed. If you are looking for valid support in analyzing your competitor and writing a business plan, I recommend that you use this Best-Selling Business Plan Software.